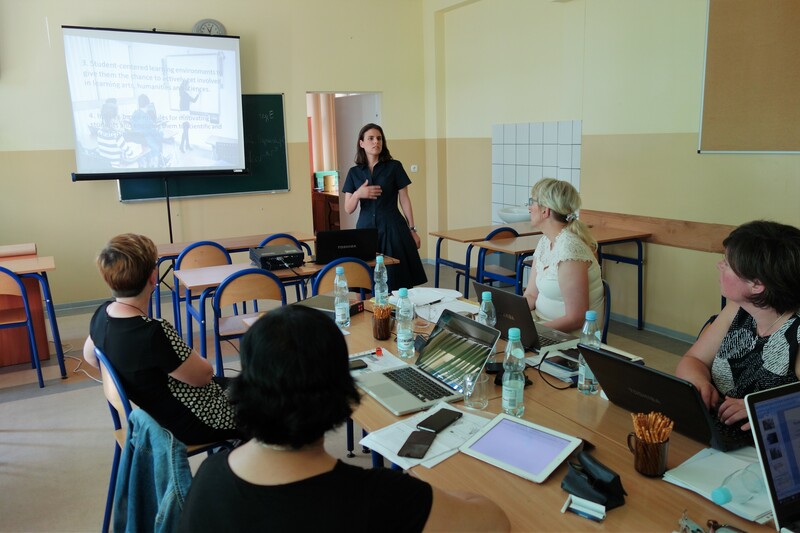 Second project meeting for "Motivation + Talent2 = Success" Erasmus project in Legnica, Poland, 29 May - 1 June 2017. The four partner schools of the project, Guldensporencollege 2 of Belgium, Zespol Szkol Ogolnoksztalcacych Nr 2 Gimnazjum Nr 1 on behalf of Poland, Gymnazium Frantiska Martina Pelcla on behalf of the Czech Republic and IMS Private School, discussed the progress of activities paying specific attention to the content of increasing motivation and promoting talent. 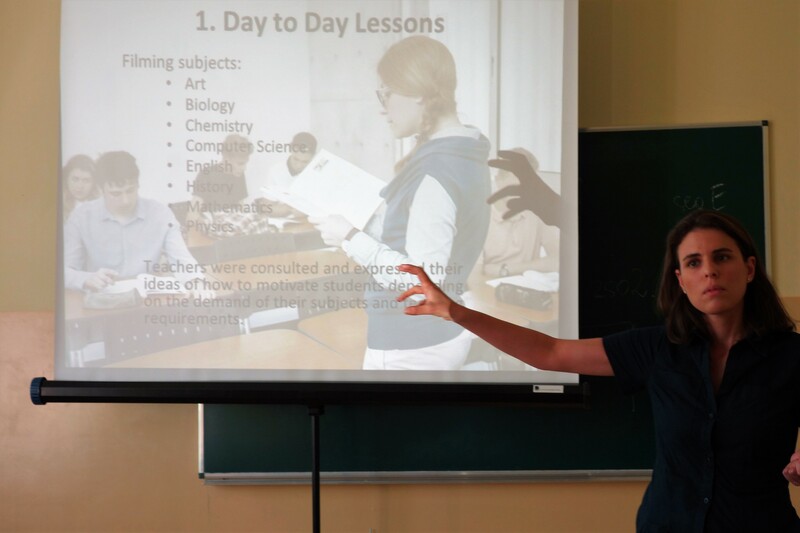 The Lead partner, Guldensporencollege, introduced the results of the first 7 months of work to the participants, covering filmed activities in school classroom to observe the level of motivation. The vice principal of IMS Private School, Dr Athi Demosthenous, referred to the IMS work so far, placing particular emphasis on motivation incentives and the efforts to maximise results in the school. 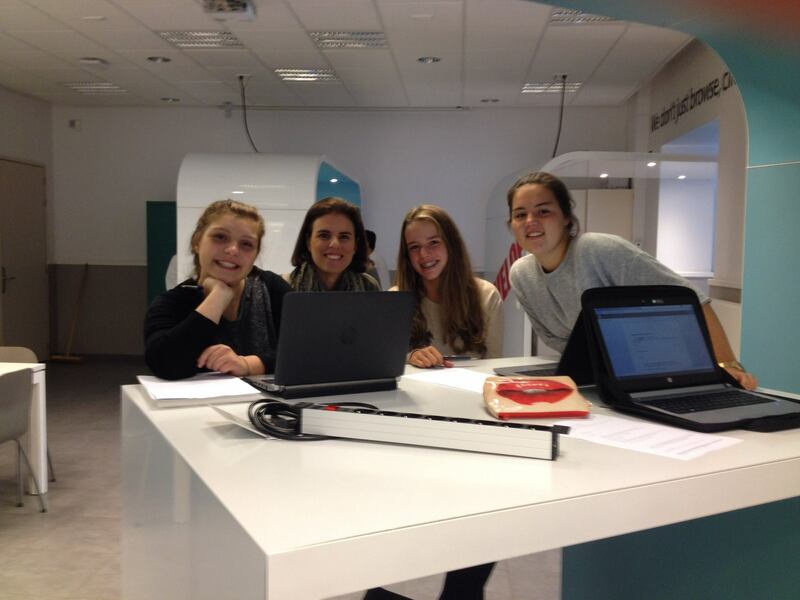 Students of IMS Private School will have the opportunity to participate in this project, as well as in many more Erasmus+ projects to come through its Research & Development Department. 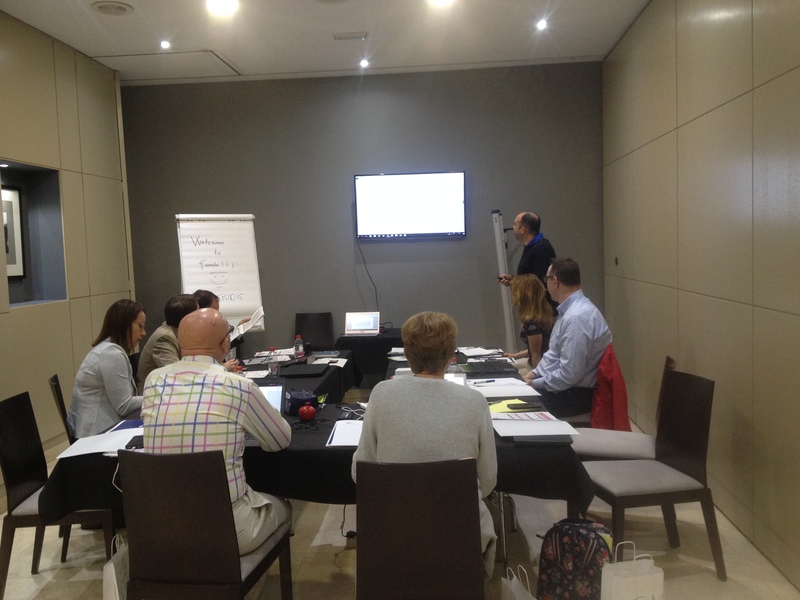 The second NEW HORIZONS project meeting took place in Granada/Spain, 4 & 5 May 2017. Representatives from seven participating countries, Bulgaria, Austria, Greece, Spain, UK, Cyprus and Ireland, joined forces to evaluate the project’s up to date activities and to plan the development of a career counselling kit, the Empower Yourself career kit, to meet the needs of the people who have acquired some disability after an accident or illness. IMS R&D was represented by Researcher Pavlos Carrera, who led the research study on the identification of the needs and obstacles that long term unemployed persons with acquired disability face in their everyday life and in their quest to re-integrate back into the workforce. During the meeting, Pavlos Carrera presented the results of this research, which was developed during the first six months of the project’s implementation and for which IMS R&D was the responsible partner. 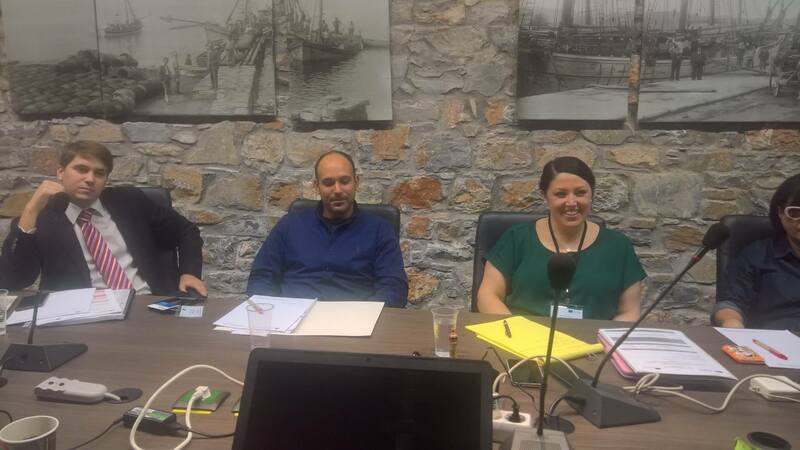 The Research and Administrative team of IMS Research and Development Centre, joined the activities of the New Horizons Kick off meeting at Volos, Greece. The meeting is organised by the University of Thessaly, Greece, and paved the way for the implementation and realisation of the programme’s aims and vision. The IMS R&D team had the opportunity to interact with researchers from other countries participating in the project such as Bulgaria, Spain, UK, Austria, Ireland and Greece. 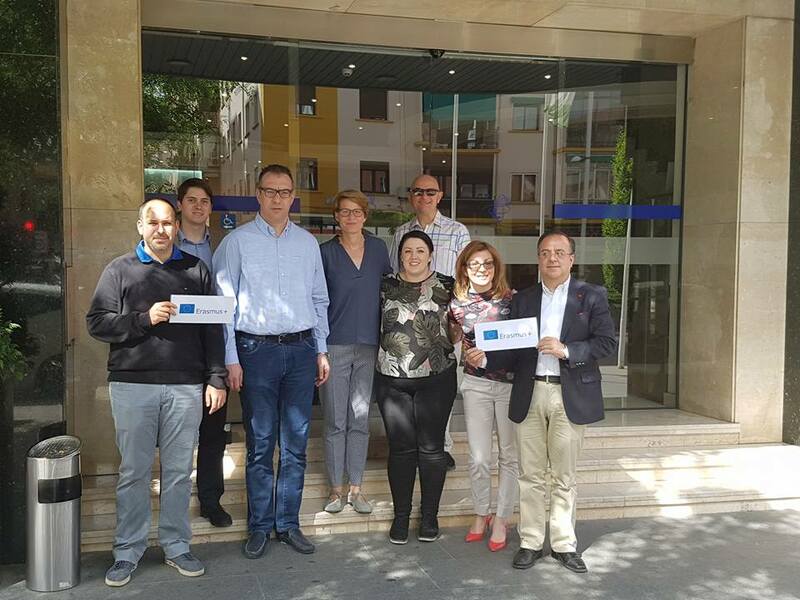 Participants from the six organizations have agreed on the next steps and are ready to proceed with the first work activity of the project. IMS Group team during the Kick Off meeting in Kortrijk, Belgium, October 2016. 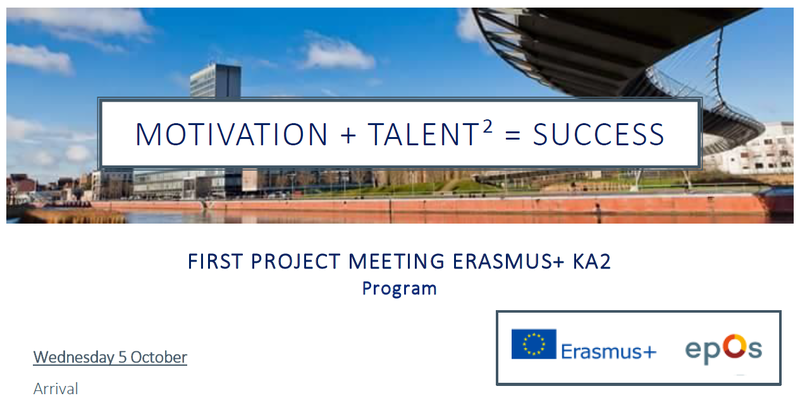 The first meeting of the "Motivation + Talent² = Success" Erasmus project has successfully taken place in Kortrijk, Belgium. The vice principal of IMS Private School Dr Athi Demosthenous had the chance to interact with Belgian students and communicate their views on Europe's Future Class. The participating schools had a very productive exchange of ideas and drew the general outline of their future combined efforts towards the completion of the project. The target is what IMS Private School has set as its main pursuit, that is to INCREASE MOTIVATION AND PROMOTE TALENT. The next meeting will be in Poland, May 2017, after a significant amount of work is inputted.